If you are interested in the stock market... or if you'd simply love to learn all about the stock market... then, please subscribe to All about stock market Xpress. All about stock market Xpress is a free newsletter from all-about-stockmarket.com that offers you all the simple ideas, info, analysis about the stock market which will make your introduction, selection and investment in the stock market as easy as possible. I'll be updating this site regularly, with more and more stock market info, tips, suggestions and techniques here. Please subscribe to my e-zine so you don't miss a thing. 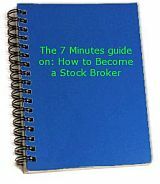 I promise to use it only to send you all about stock market Xpress.